If you'd rather display a custom error message instead of the default message—for example, a page that uses the same formatting as the rest of your website—you can have CloudFront return to the viewer an object (such as an HTML file) that contains your custom error message. To specify the specific file that you want to return and the errors for which the file should be returned, you update your CloudFront distribution to specify those values. For more information, see Custom Error Pages and Error Caching in the topic Values That You Specify When You Create or Update a Distribution. You can specify a different object for each supported HTTP status code, or you can use the same object for all of the supported status codes. You can also choose to specify objects for some status codes and not for others. Client errors indicate a problem with the request. For example, an object with the specified name isn't available, or the user doesn't have the permissions required to get an object in your Amazon S3 bucket. 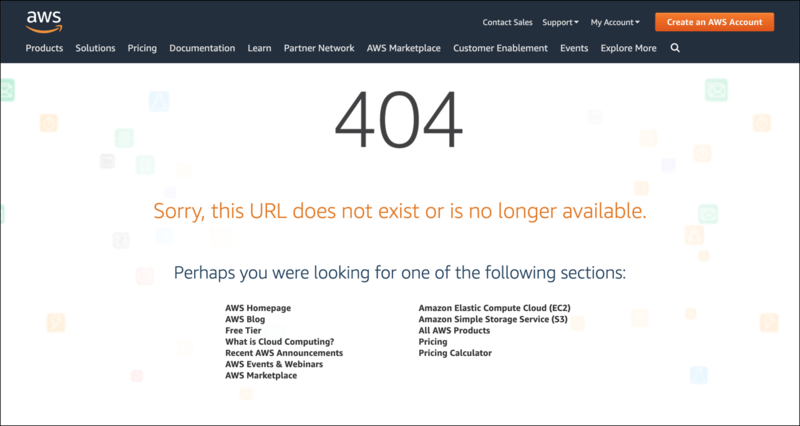 When a client error occurs, the origin returns an HTTP status code in the 400 range to CloudFront. Server errors indicate a problem with the origin server. For example, the HTTP server is busy or unavailable. When a server error occurs, either your origin server returns an HTTP status code in the 500 range to CloudFront, or CloudFront doesn't get a response from your origin server for a certain period of time and assumes a 504 status code (gateway timeout). You can create a custom error page for HTTP status code 416 (Requested Range Not Satisfiable), and you can change the HTTP status code that CloudFront returns to viewers when your origin returns a status code 416 to CloudFront. (For more information, see Changing Response Codes Returned by CloudFront.) However, CloudFront doesn't cache status code 416 responses, so you can specify a value for Error Caching Minimum TTL for status code 416, but CloudFront doesn't use it. For a detailed explanation of how CloudFront handles error responses from your origin, see How CloudFront Processes and Caches HTTP 4xx and 5xx Status Codes from Your Origin.